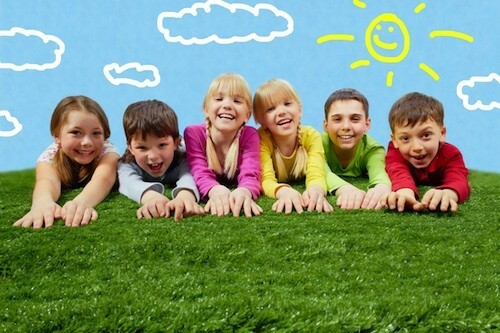 Instead of lazing around this summer, let your kids get up and run outdoors! Summertime is the best time for lots of fun activities, and when kids have these fun and exciting toys, these will keep them playing for hours; you can also let them play some cooling off summer games to easily beat the heat. With that said, here are some of the cool summer toys that will get your kids active and outdoors during summertime. Who says that your kids can’t have more fun in the pool? Have them run, jump, then slide with the awesome inflatable water slide that’s a great addition to their swimming activity. Simply connect a garden hose to these durable inflatable slides then have the kids slide along the padded area before splashing right into their pool. Let your kids play and fill the air with tons of little bubbles with this Whistlecopter toy. The Clown Fish Bubble Gun has LED lights and includes batteries and two bubble bottles for each gun. The kids can run around in the garden while letting the gun shoot lots of bubbles that look perfect with the LED lights. 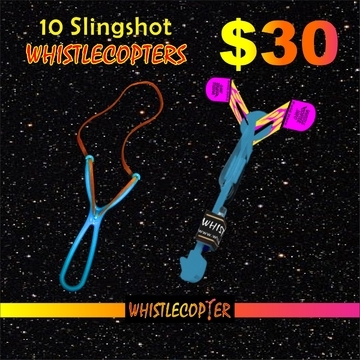 Get out into the open with your kids and play with the Whistlecopter by launching it high in the sky. The Whistlecopter achieves an impressive height of 200 ft. because of the high-quality and durable plastic used to make the toy. The wings of the Whistlecopter will never flip while flying up in the air because of the materials used to create this awesome toy. Using these toys for outdoor play will definitely put a smile on your kids’ faces, plus, it will also bring the whole family together for fun outdoor quality time. While the kids enjoy playing with the whole family, they will also learn a lot of essential things such as sharing, cooperating, and taking turns since toys are considered essential and important tools for learning.